So this week was another quick and fun ornament! I used 5/8" silver beads I found at Jo-Ann Fabrics and some small gage wire I've had in my craft collection. And, of course, I used Shimmer On fabric by Jennifer Sampou for Robert Kaufman Fabrics. The metallic prints on Shimmer On make it the ultimate holiday fabrics for this craft-along. I'm in love! 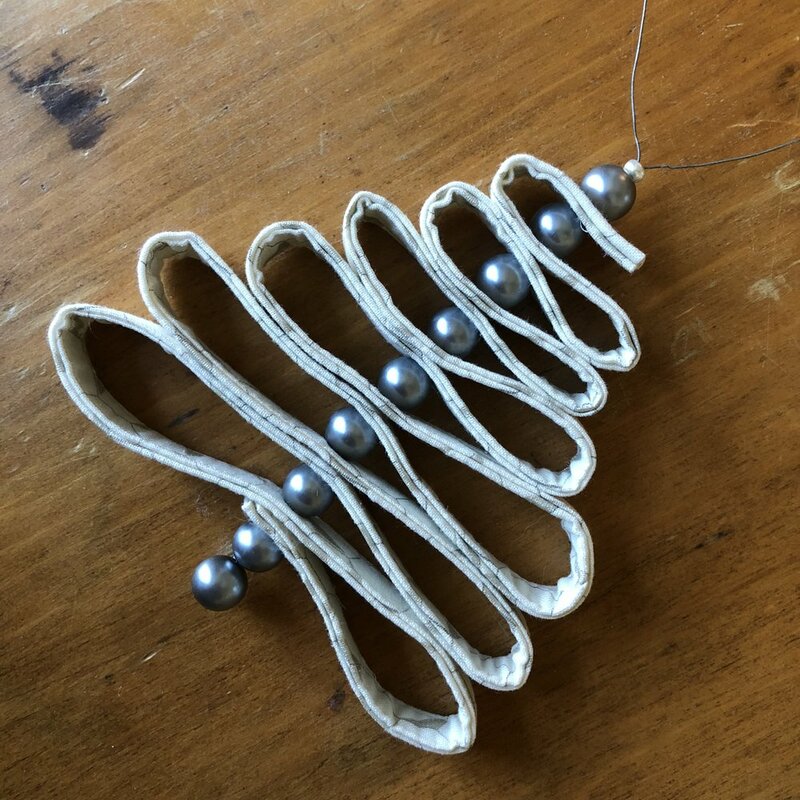 Head over to Mathew's blog for the Strip Tree Ornament tutorial, and make sure to post your progress. Last week, Stacy from @adamaedesigns was our Ornament Along winner. To be in the running, post your progress to Instagram using the hashtag #ornamentalong and you could win this amazing prize bundle of PDF patterns from Mathew aka Mister Domestic!